Amazon is one of the most popular service providers as far as cloud platforms. Using the service, any business can share computing power, content delivery, database storage and a number of additional functionalities. Thus, Amazon offers the best service for businesses to scale and grow.The most business-friendly offer that comes up with the AWS is the pricing. Instead of charging a ton at the starting of each month/year, Amazon treats them as utilities. You pay just as much as you use them and as long as you use them. With the adjustable price, AWS offers the best platform for almost any use case – data warehousing, directories to content delivery, deployment tools and much more! Another important factor of the cloud platform is the security. With AWS, the security is on the strongest level. Broad security certification and accreditation, strong data encryption at rest and in-transit, hardware security modules and strong physical security – every single features guarantee a perfect solution for the IT infrastructure. 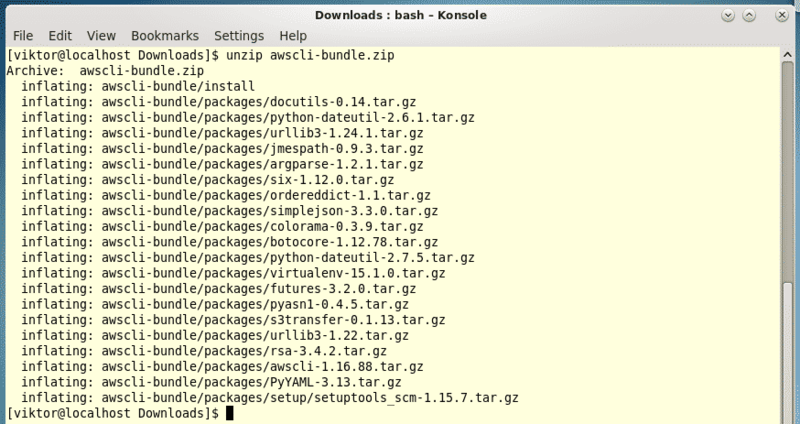 Now, for enjoying the feature of the AWS, there’s already a powerful console tool available, known as the AWS CLI. It puts all the controls of multiple AWS services within a single tool. As the name suggests, it’s a console tool. As of enterprise Linux, CentOS/RHELE is the best choice as it comes up with a large community and professional support. Today, let’s check out setting up the AWS CLI tool on CentOS/RHEL. For installing AWS CLI, we need to set up the “pip” first. 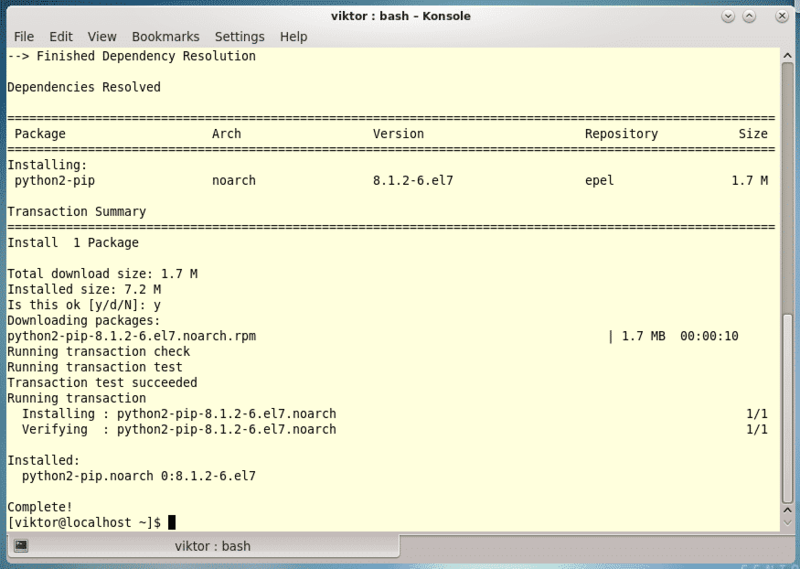 PIP is essentially the package manager for Python. 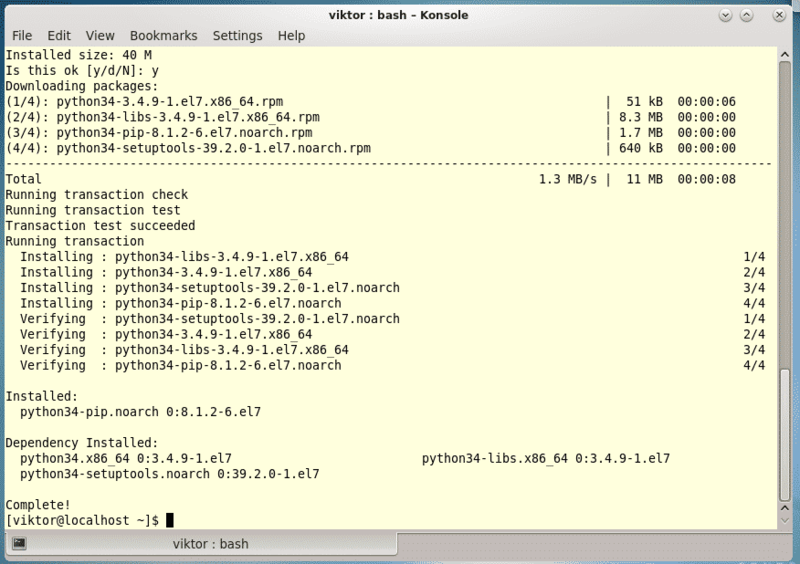 Using the tool, it’s possible to download and install various Python tools directly on your system. PIP is available on the EPEL repository, not the default one. Make sure that your system supports the EPEL repo. 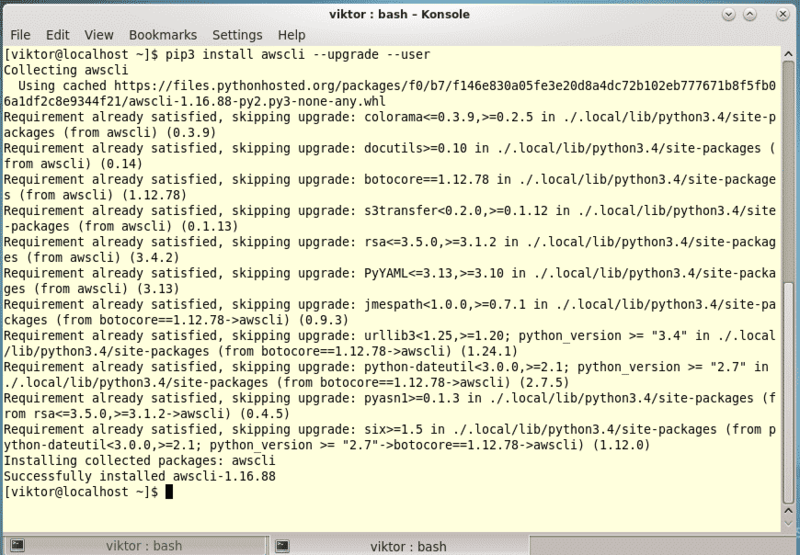 Now, it’s time to install “pip”! 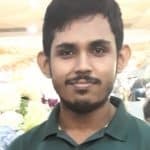 Note – The best way of enjoying the software is using Python 3. Python 2.7 is going to become obsolete at one point and Python 3 is going to prevail for sure. 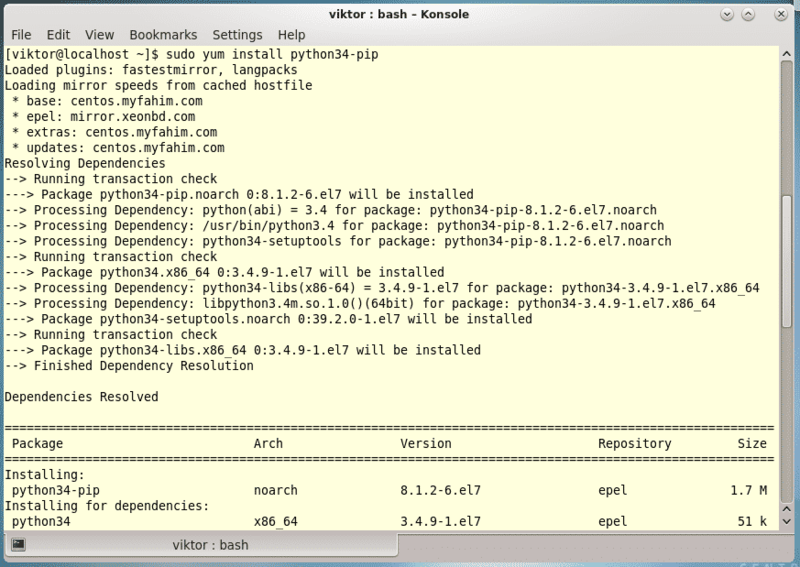 Learn how to set up Python 3 on CentOS. Update the “pip” or “pip3” first. In the above command, we force the “pip3” to install “awscli”, “upgrade” any outdated component necessary and install the tool in the user’s subdirectories (avoiding file conflicts of the system library). This method also uses the “pip” or “pip3” tool from Python, so everything should work just fine as before. If your user account doesn’t have the permission for performing “sudo” commands, then you should follow the following steps. Now, it’s time to make sure that the environment variables are perfectly set to be able to find out the AWS CLI. Now, the installation is complete. However, we always should make sure that whatever you’ve installed is working properly. Voila! AWS CLI is installed correctly! Depending on your installation process, you can easily uninstall the tool from your system.